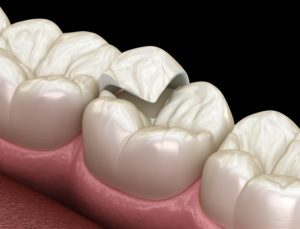 Inlays and onlays, commonly referred to as indirect fillings, provide an alternative to traditional fillings and restore damaged tooth structures. 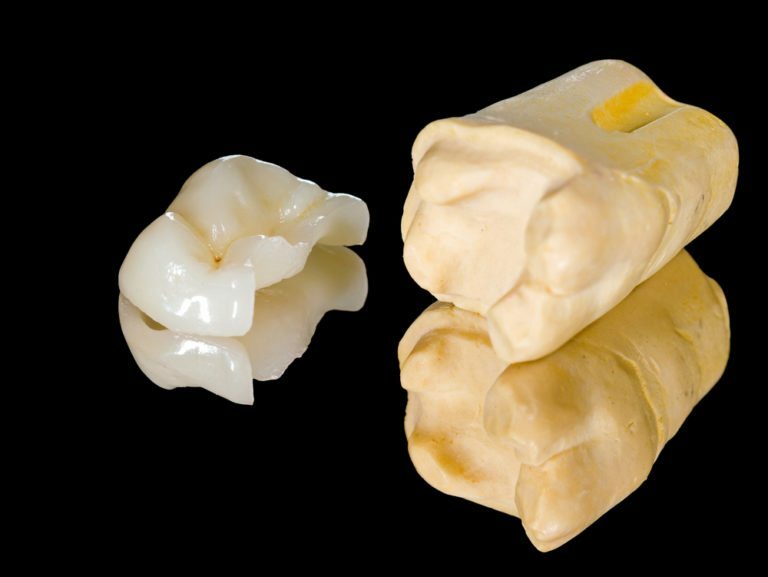 While traditional fillings are molded into place during a single office visit, inlays and onlays require the use of a prefabricated restoration made from gold or ceramic (porcelain) that is bonded to the tooth. Because of this, inlays and onlays are durable and last longer than traditional fillings. Inlays refer to a restoration structure that fits over the grooves of the tooth, while onlays refer to a restoration structure that fits over both the grooves and cusps of the tooth. Since inlays and onlays provide a restoration method that does not require extensive tooth modifications, they are the ideal treatment option for strengthening weak teeth. Teeth treated with inlays and onlays also have the ability to withstand an additional 50-75% chewing force than those treated with traditional fillings. You may be a candidate for an inlay or onlay if your tooth has been damaged by decay and are looking for an alternative to a traditional filling. You may also be a candidate for an inlay or onlay if you require a dental cap or crown. To find out for sure if you are a candidate for an inlay or onlay, schedule a consultation with Legacy Dental today! Why should I get an inlay or onlay? Inlays and onlays can offer a wide range of benefits including their ability to fit over the damaged areas of your tooth while providing additional strength and preserving their natural structure and appearance. In addition, inlays can even fit in the tight spaces between teeth and can prevent bacteria from entering the tooth. 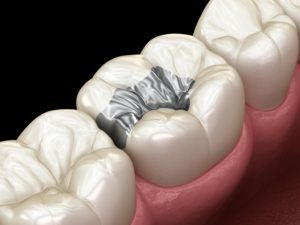 Both inlays and outlays are also easier to clean than other restoration methods such as caps or crowns. Inlays and onlays are also more durable than traditional fillings due to their precise fit. Traditional fillings can shrink slightly when hardened, which decreases their stability. 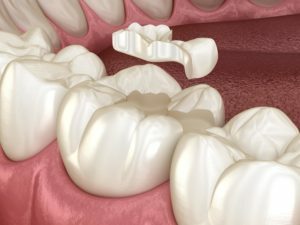 Because of this, traditional fillings may be damaged more easily than inlays and onlays. What material should I choose for my inlay or onlay? Inlays and onlays are most commonly fabricated from gold or ceramic (porcelain). Gold is one of the strongest options against the constant force of chewing and may be well-suited for areas of the tooth that undergo this force. Gold also requires less tooth modifications and preserves the natural tooth structure while maintaining its strength. However, because of its metallic color, it does not have the same aesthetic appearance as ceramic and porcelain. Ceramic (porcelain) is another popular option because of its appearance and strength. However ceramic can fracture more easily without metal reinforcement. Because of this, it needs to be applied thicker than gold and requires more tooth modification for placement. Although this strengthens the restoration, it can also be abrasive to opposing teeth. Choosing the right material for your inlay or onlay depends on the location of the tooth, the size of the restoration, and your dental habits. 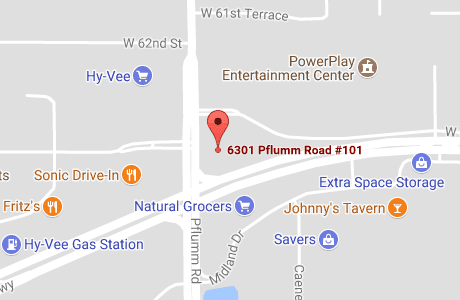 Our dentists will discuss your options with you in order to help you decide on the best material for your inlay and onlay treatment. To apply an inlay or onlay, the tooth is first numbed with a local anesthetic. Then, all the decay is removed from the tooth to prevent further infection. After the decay is removed, a dental impression is taken of the tooth and sent to a dental laboratory for fabrication of the inlay or onlay. While the dental lab fabricates the final restoration, a temporary filling will be placed. Once the final restoration has arrived, it will be bonded to your tooth using permanent cement or a resin that hardens with a special light. What is the cost of inlays and onlays? Inlays and onlays generally cost about $250-$1500, with onlays usually being more expensive. However, this number can vary and is based upon factors such as the location of the tooth being worked on as well as the size and material of the restoration being used. It is also important to note that if you have dental insurance, you will most likely qualify for some type of coverage for your inlays or onlays. The amount of coverage you receive, however, will be based upon how your individual insurance company categorizes inlays and onlays. There is a discrepancy on how this service is categorized and some companies categorize it as “basic”, while others categorize it as “major”. Basic services usually have a higher level of coverage than major services, so this is something you will want to take into account. Legacy Dental will help you to determine your level of coverage to get you the dental care you need. What is the lifespan of an inlay or onlay? The average lifespan of an inlay and onlay is about 10-30 years. They are one of the longest-lasting restoration methods and most last around 20 years. How do I care for inlays and onlays? Caring for inlays and onlays is no different than caring for your natural teeth. You can care for your inlays and onlays by practicing good oral habits such as: brushing twice daily, flossing once daily, and visiting Legacy Dental at least once every six months for your dental checkup and professional teeth cleaning.